First, we have to say it: Did you know? There are roughly 7 million stray dogs and cats in the U.S. at any given time. Many people will not take in a stray dog or cat, especially during mild weather, because they feel strays can fend for themselves if it’s nice out. There are many people who will not even call to report an injured animal in the mild weather for the same reason. When talking about stray (homeless, ownerless) animals, the majority of people take this to mean dogs and cats. But common stray animals are not the only animals to be negatively impacted by their circumstance. ANY animal (including wild animals and birds) can have a difficult time, depending on their environment and their health. Never turn your back on any animal in distress or in danger. 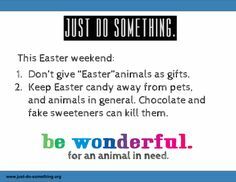 The type of animal and the situation should always be taken into thoughtful consideration before you make the decision to aide that animal yourself. Even a stray dog or cat can be a possible risk to you if that animal is ill or becomes frightened when trying to approach it. Not sure? Call your local authority. Onto Summer. 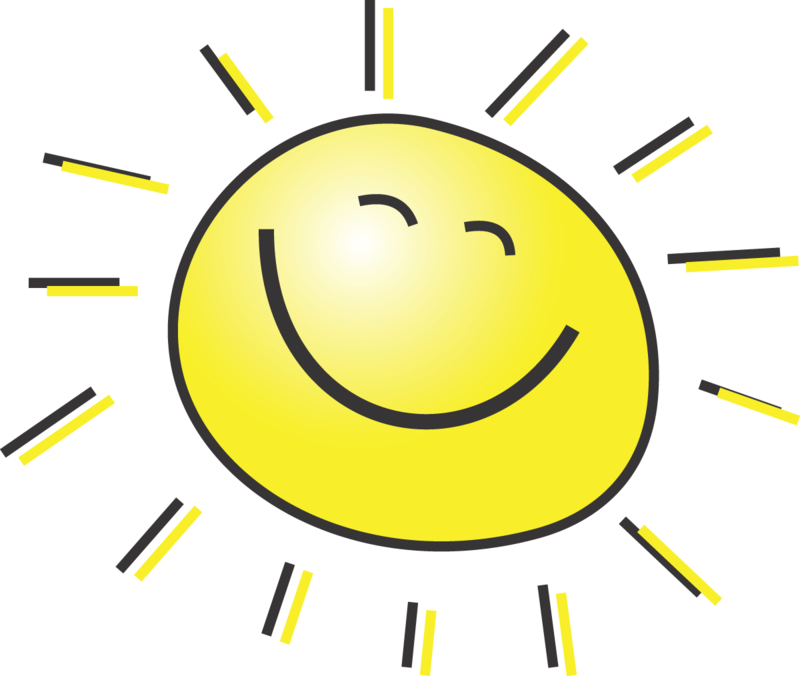 Here’s our first blog of the Summer Season! Ah, Summer! The sunshine, the flowers, the rainbows. But for many (MANY) animals, summer is anything but relaxing, peaceful and safe. All living beings in general require food, water and a shelter source. In the wild, the majority of healthy, non-domesticated animals do well on their own. You can help out local wildlife by offering a ground-based clean water source, like a shallow birdbath that allows both birds and four-legged critters to drink from. Just be sure to keep the water clean and change it daily. A great way to help birds in the Summer – let your water spigot slow drip! Domestic animals have it harder in the Summer, especially if they are kept outdoors 24/7 (chained, roped or in kennels) in neglectful environments. Tethering is still legal in most states. Do you know of a dog tied to a tree 24/7? Hunger. Believe it or not, leaving a pet outside day and night makes it easy to forget about them. This leads to forgetting to refresh water bowls, and forgetting regular, steady meal times. Lack of always-available clean, fresh, cold water – think about warm water in an unclean bowl that sits out all day – would YOU drink that? Lack of protection from biting and stinging insects – and this includes those bugs that make homes in dog houses – remember animals can have severe allergic reactions to bites. Lack of light – once the sun goes down, that outdoor animal is left in the dark, chained or penned outside, without being able to see his/her surroundings. That can be very scary to any animal that is left alone at night, outside, every night. And, social media is buzzing with warnings about the importance of NEVER leaving ANY animal in a closed car. A cracked window on an 80 degree day will NOT keep an animal safe from interior heat. 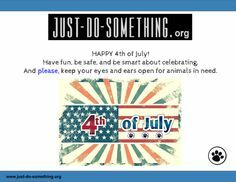 Remember, if YOU see ANY animal in an unhealthy, unsafe situation, JUST DO SOMETHING. 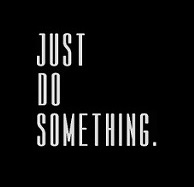 Your action may be THE action to save a life. 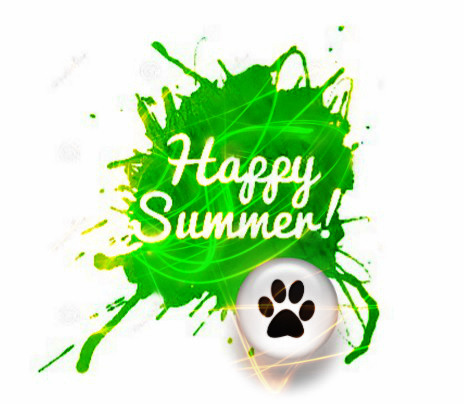 Even well meaning pet owners may not realize they should not simply put their animal outside for prolonged periods of time during Summer. This is especially true for new pet owners who may not yet be well educated on environmental pet care and for elderly pet owners who may forget from time to time the importance of routinely checking on their pets once they are outside. 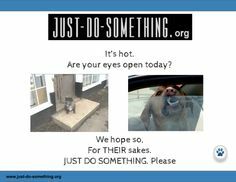 Take the time to speak up if you see a domestic animal staying outside for too long. Especially those that are routinely chained in one place. It matters to that animal. 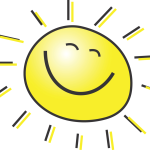 Domestic pets that are in-door animals, should be limited in the amount of time spent outside in the heat. If it’s still warm enough for you to be affected by the heat, then chances are you pet is being affected too. Invite your pet inside for some air conditioning time. Humans have sandals; animals have paws. Although the bottom of your pet’s paws may feel rough, they are sensitive to hot (and cold). Hot surfaces like pavement and tarred driveways can burn and blister, stones can tear and scrape, and other rough surfaces can do damage – AS CAN PESTICIDES (and make you pet sick if s/he licks their paws after they come indoors). Most domestic animals dislike “booties”, so simply pay attention to the amount of time your pet is walking on surfaces that can burn or injure, and take the time to gently wipe off paws after being outdoors. Especially if your pet has environmental allergies. A quick paw-soak or bath after playing on cut grass can be a very soothing allergy-symptom reliever. NOTE: If your pet appears to be dealing with more allergy symptoms or insect bites causing licking, itching, and/or causing your pet to act unlike him or herself, a vet visit is in store. Is it a Summer rainy day? No-one likes to sit around and be soggy. Any soft, clean absorbent towel is great for drying off your pet after outdoor time. Be sure to routinely wash any toweling used to dry your pet. Speaking of drying off, if you plan on taking your pet to a dog park or swimming area, watch for signs of stress and/or infection. Dogs can pass sickness between each other, and unclean water can cause your pet to get sick internally or externally. Keep Benadryl handy for allergic reactions, and know the recommended dosage for your pet. Always check with your vet for guidance on medical issues, and don’t self-medicate your pet without consulting with your vet first. Do you keep your pet outside 24/7, or know someone that does? Remember, a pet is a domestic animal that requires care, consideration, companionship, stimulation and protection. If you own a pet, is it your responsibility to provide that care, consideration, companionship, stimulation and protection. Think about changing YOUR idea of what it means to be a pet owner, and instead, think about the needs of that living animal. If you know of an animal kept outside 24/7 in a neglectful situation, now that you know, you are obligated to JUST DO SOMETHING about it. No animal should be left outside in misery, no matter what the reason. PESTICIDE SEASON starts in Spring, and for many, continues on until late Fall. Before you make the decision to treat with pesticides, think about your pets, wildlife babies, and our environment. If you do decide to treat YOUR lawn, be conscious of where your pets routinely go outside, and the little critters that you know roam on your property. Let your lawn guys know you have a pet that goes outside, and if you know of certain areas that critters enjoy, mention that, also. Ask them to leave an area untreated so your pet and other critters can enjoy your yard without easily coming into contact with lawn treatments, which can cause internal and external issues just by licking or touching pesticides. Before treating your lawn, before they arrive, remove water sources and ground feeding stations. Pesticide poisoning HURTS. Try to keep your pet off treated lawns for the first 24-hours. Do not put out any food or water to entice other critters to your yard for 24-hours. Have an “out” plan in place if you treat your entire lawn, so your pet can still get out for exercise and relief. Be aware of neighbors who treat their lawns – stay away! Wipe off paws any time your pet walks on treated ground. Never let your pet lie or roll on treated ground. 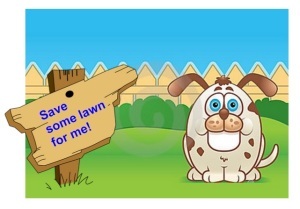 As a courtesy to other pet owners, leave your lawn treatment signs up at least two days to make others aware. Animals are VERY active in the Summer! Wildlife is everywhere, and so many of them are babies learning the ropes! Drive Slow. Mow Carefully. 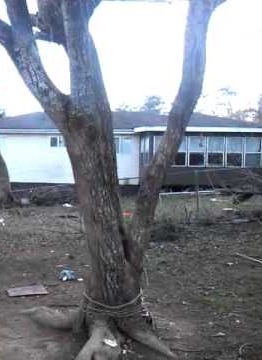 Keep tree removals to a minimum. Prune Bushes with care. Keep active fire-pits away from low hanging trees. We’ll say it again: Wildlife is everywhere! More wild animals will be killed or injured by cars as they become more mobile. Warm weather means more animals roaming about. This is a good time to talk about what to do if you see ANY injured animal. Click HERE for helpful information on what you can do. Come across any baby birds or animals? Leave them alone unless it’s clear they are abandoned or in distress. Not sure? Call your local rescue or wildlife rehabilitators to find out what you may need to do. If you have a dog that loves to chase, make sure wild animals (think squirrels, raccoons, rabbits, and their babies) are protected as best as you can, before you let your dog out. Think about bringing your outdoor pet inside on occasion, especially during poor weather. Keep the area in which your pet lives in, clean of waste, debris, garbage, and old food. Check your pet faithfully for ticks, bug bites, fleas, and for good health in general. Get Wet For Your Pet! Change your pet’s environment regularly by moving his/her living space around the yard. Don’t move your pet so far from your house that you cannot easily see him/her or get to him/her fast if you need to. Some pet owners do not use flea and tick medicine in the Spring. 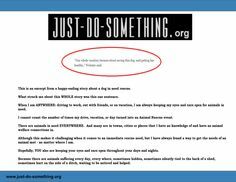 If you are one of those owners, it’s time to start! If your pet is an outside pet, clean out the pethouse, wash the bedding, clean up the area around the pethouse, and clean out the water bowl. Routinely check pethouses and bedding for spiders, mites and other bugs that love to nest inside them. Some bites can be painful, and can become quickly infected without an owner knowing right away. Birds are fun to watch, but if you bother a nesting site too much, the parents may abandon it – along with any living chicks. So enjoy from a distance. To feed or not to feed in the summer – that’s up to you. Keep feeding stations clean. Dirty feeders invite illness and disease. Don’t overfill your feeders. Uneaten and/or left out seed and food items will spoil, and start to smell. Always offer fresh, clean water. Clean out your bird baths every week. This includes Hummingbird and Oriole feeders. 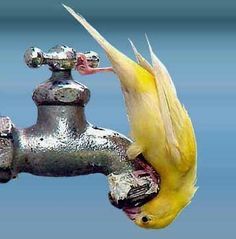 Let your water spigot slow drip (drops of water can make a difference to a thirsty bird). Do you like to feed the ducks? A bag of corn works better than bread. If bringing the animal inside your home is not an option, help him/her survive the Summer heat and elements by providing shelter such as a sturdy cardboard box lined with a good amount of clean, dry straw (straw is the main insulator that rescuers use when helping out strays or domestic outdoor animals who stay outside). Straw provides a soft but effective barrier against the cold and damp, keeps warmth in (if you pile it in a good amount), is pliable enough so animals can burrow and surround themselves with it, and does not mold quickly. Don’t bother with towels and blankets as these will get wet in a storm and stay damp. Enticing the animal into your garage will also work. Ensure proper bedding for warmth and comfort, as garages usually are not heated. Make sure that harmful products normally stored in the garage are completely out of the way. Cars should never be running in the garage at any time if there is an animal in there! Are you already providing shelter to a stray? 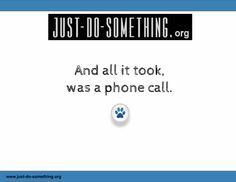 Reach out to local entities about spay and neuter for those strays that you are taking care of; don’t allow strays to birth more strays. Time to change the straw or bedding! Just like a human, animals can develop sores and sensitive skins from dirty, unwashed bedding. Replace straw and/or wash bedding! A stray’s life can be pretty miserable. Don’t add to it by overlooking this simple necessity. Always ensure that there is a daily supply of fresh, clean water easily available. Providing stray animals with fresh, clean food and water can help them survive better because they will need to use less energy to scrounge up their dinner. A well-fed, well hydrated animal is also better prepared to fight off illness and infection. Steer clear of canned food as it is more likely to spoil when the temperatures climb. Make sure your first stop is with a licensed veterinarian who can assess the animal for diseases and make sure that it is immunized and safe to be around your children or other pets. If you don’t want to bring the stray to a shelter, reach out to your local rescue groups to see if someone can take him/her. Keep your eyes and ears open. 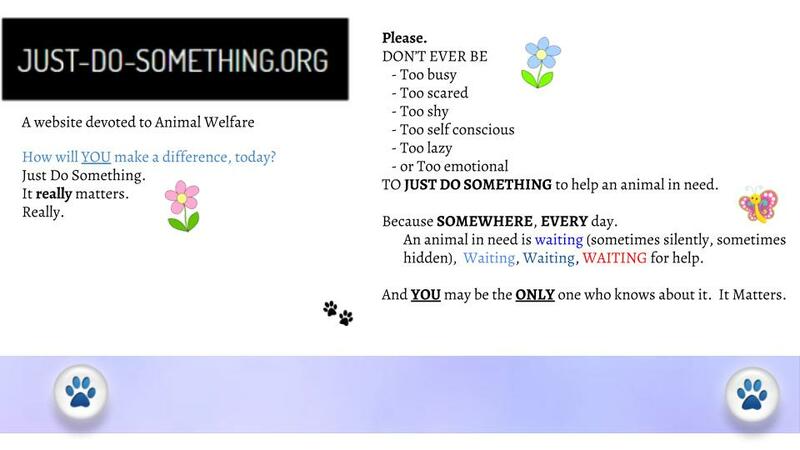 If you become aware of a situation where ANY animal is in distress or danger, DO SOMETHING about it. Call local authorities and WAIT until someone comes to the animal’s aide. 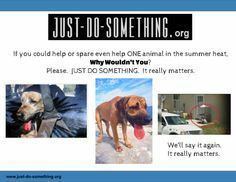 You may be the ONLY witness and/or the ONLY one to help that animal in that situation. Don’t be nervous or worried if you have to report an act of animal abuse or neglect. If you are not sure about what you think you see, call for help anyway. You might be saving a life. Whatever YOU are doing to help make an animal’s life better in the Summer heat, THANK YOU. We need MORE of you, THEY need more of you. What are your Summer tips? Share it with us, and we’ll pass it around! All efforts matter for ANY time of year, when it comes to helping out our animals.